Volunteering is a rewarding experience – both for you and the person you’re helping. Below are some stories from our volunteers, the people they help and their family members. She is extremely full of beans. There aren’t many 89-year-olds who happily stand up and give a full self-defence demonstration in their sitting room – in short, punch the attacker on the nose not the chin, as you’ll hurt your hand less. Despite memory troubles, nothing pleases Evelyn more than sharing her stories and philosophy on life, accompanied by a Bakewell tart and, in the right moment, a spot of Baileys. No two visits with Evelyn are ever the same. FCV Dorcas volunteers are able to plan outings with their clients or and encouraged to discover new mutual interests, and Evelyn is full of a capacity to enjoy herself. 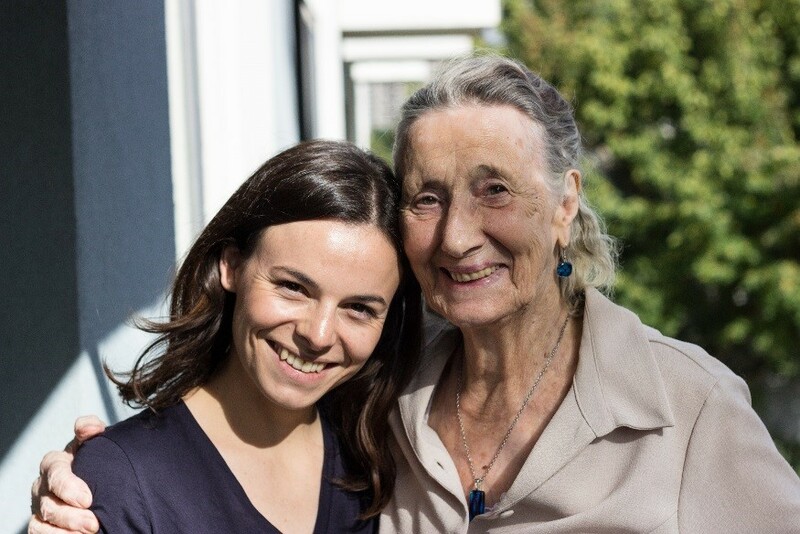 Having spent her life working in local factories and offices, bringing up her two boys in a nearby flat, being given oranges at the family stalls on White Cross Street and walking the lengths of Regent’s Canal, she has a lot of memories to share. 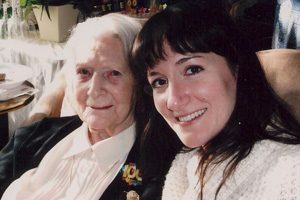 “Evelyn has so many stories about life in London and how it’s changed; I learn something new each week,” explains Alana. “On a normal visit we usually have lots of hugs and we make a cup of tea, and catch-up on what she’s being doing and who has been visiting her. If it’s good weather, we sit on the balcony and watch all the people walk past along the canal. I show her photos of my family or things I’ve done in the last week. The work of Alana and FCV Dorcas means that Evelyn can still live her life to the full. 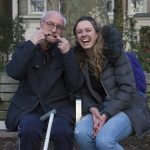 Islington is certainly a better place for such vibrant residents as Evelyn, who has lived her whole life under the philosophy that “what goes around comes around”. FCV Dorcas is proud to share the benefits of the cheerful outlook that Evelyn maintains, no matter what. 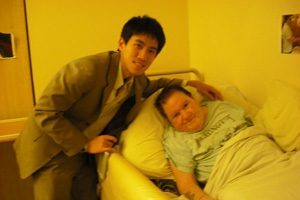 I volunteer as a Befriender, which involves befriending an elderly person in the community and visiting them every week. I visit Tommy every week in his care home- we go for walks to the local park when it is sunny, have a pint in the pub or simply listen to his old records. You are initially matched with three elderly people and you pick the person you feel you would get on with best. At first I was anxious about meeting Tommy. I had no idea what to expect. I was informed that he had early Alzheimer’s disease, and could often forget who the people around him were, so I was worried about how I would deal with that. Tommy has become very special to me and I look forward to visiting him every week. At first you might feel a bit lost with what to do and what to chat about but you just need to get them talking about their life and experiences. We have a lot to learn from elderly people! What is the best thing about befriending? Tommy tells me how lonely it is in the home and if I don’t visit he doesn’t really get to go outside. So after every visit I feel like I’m making a difference. Last week we put on a few of his old records and he had a little dance around his room- it’s moments like this that makes it all worthwhile. 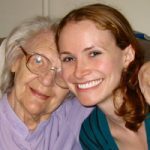 The most challenging aspect for me is learning how to deal with an elderly person who has Alzheimer’s disease. Tommy often forgets that I’m coming and it’s a surprise for him and he can never remember my name. You have to be very patient and I have definitely learnt a lot. I’ve become more aware of how lonely elderly people can get. Sometimes they might not see anyone else for days and can’t get outside. That’s why schemes like FCV Dorcas Befriending Project are important. Would you recommend the project? One hundred percent! It is a wonderful project. I’ve already persuaded some of my friends to get involved. They really make an effort to match you up with someone you’ll get on with and conduct training days so you feel well equipped. It’s only a couple of hours per week and you can really impact someone else’s life and make a new friend in the process. Amy has been involved with the Dorcas Befriending Project since she moved to London from New York in 2008. 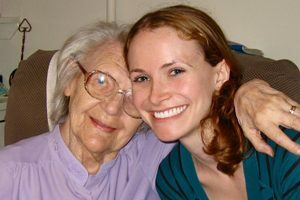 After discovering the DBP at the volunteer fair at University College London where she earned her Masters in Art History, Amy was matched with 101 year old Ethel, with whom she shares a mutual love of knitting, crosswords and strong coffee. She is currently the acting Secretary of the DBP Executive Committee. 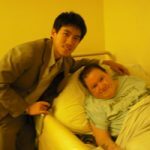 Patrick joined the Dorcas Project in June 2011 and was soon paired up with Alfie, an elderly gentleman in his eighties who resides in a nursing home in Islington. Alfie suffered a stroke a few years ago, and has become less mobile over time. Patrick visits Alfie on a weekly basis after work, and they spend most of the time catching up with each other on the week’s events. This may involve a conversation over family or football. Given that Alfie has a sweet tooth, biscuits usually make their way into the conversation. 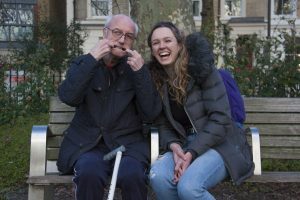 Allie has been visiting Maud since her first year at university at UCL in 2007, where she learned about the Dorcas Project from Herve at the Volunteering Fair. Allie and Maud enjoy long chats over tea and some sort of sweet or biscuit. 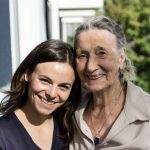 Maud has never lost her sweet tooth and is open to new experiences, even at age 99. She recently tried a big American-style chocolate chip cookie for the first time and liked it!